The wiki says embedded audio will play automatically on slide start. This does not happen (LO 5.2.3.3 Impress on Mac OS X 10.11.6). I embedded an mp3 and could not get it to play, even with the media player. However, I can play the mp3 without embedding by setting the interaction of a slide's text box to "play audio" and selecting the mp3. This however, requires me to click on the text box when the slide is shown. How can I make it play immediately when the slide is shown? 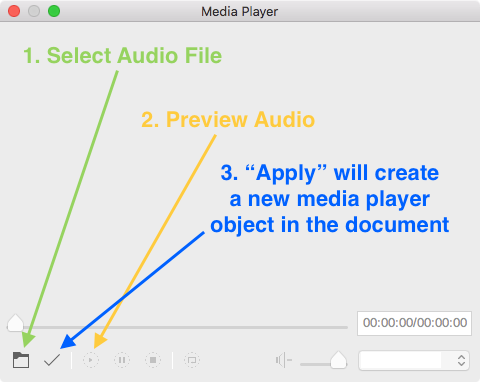 Embedding audio using the Media Player to "Apply" the retrieved audio file allowed the audio to play automatically. Embedding the audio using "Insert Audio" did not. that's not clear at all..
... choose Tools - Media Player to open the Media Player. Use the Media Player to preview all supported media files. Click the Apply button in the Media Player window to insert the current media file into your document. 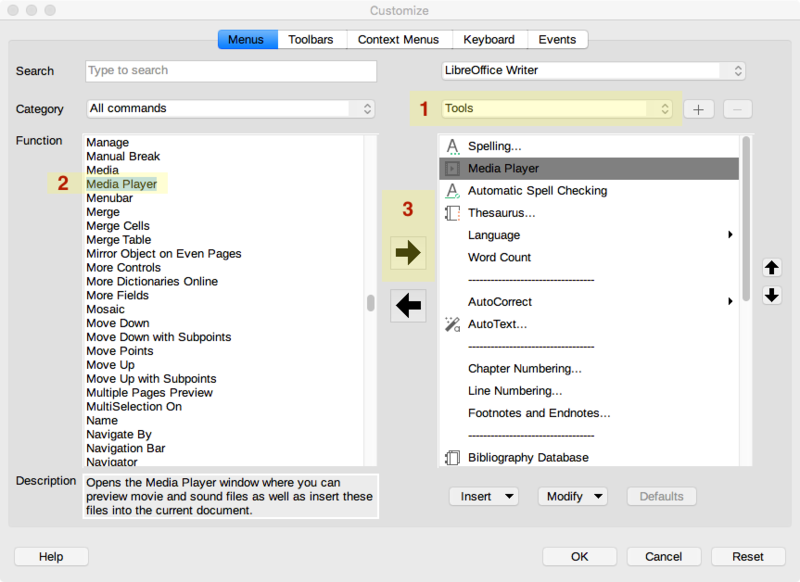 If the Media Player entry is missing from your Tools Menu you will have to add it by choosing Tools > Customize.